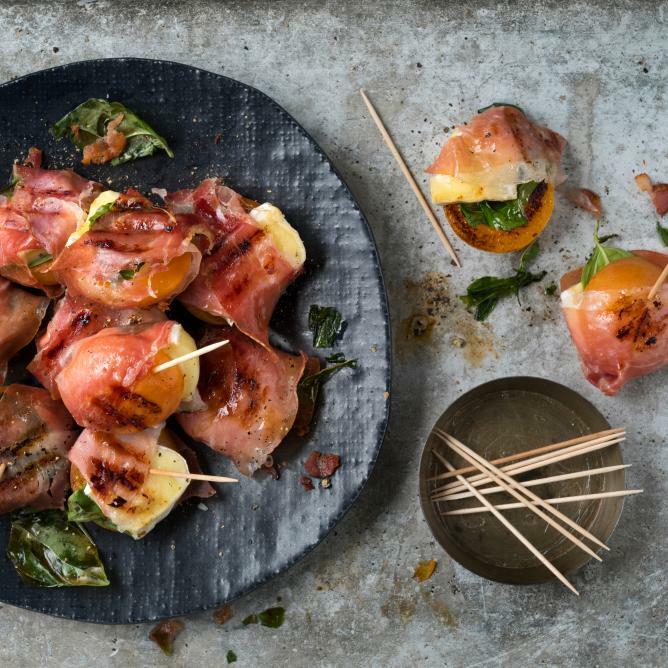 Garnish each apricot half with a basil leaf and a piece of brie, wrap in ham. Heat the griddle pan, grill the parcels over a medium heat for approx. 5 mins. on each side. Sprinkle with pepper, serve immediately.